This really is a very soft t-shirt. It is one of the nicest looking and most comfortable shirts I own. I like the design and color choices. The sizing of the shirt is another matter. It runs small and the fabric shrinks, so make sure to consider these when you order this shirt. 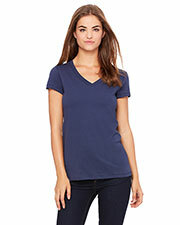 This Bella + Canvas tee is a nice soft shirt. The colors available are very lovely. I already bought four in different color combinations. The fabric of the shirts differ depending on the colors you order. But they are all comfortable to wear. I am happy with my shirts. I bought this shirt for a client. The fabric of the shirt is great for screen printing. It takes fabric paint well. The designs looked great when printed. My client was very happy and satisfied with the shirts. The discount available for bulk purchases is an awesome deal. Thank you. This is a nice shirt to own. I like the softness of the fabric. It is also lightweight and thin. 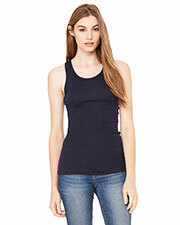 Having said that, please wear an undergarment, like a tank top underneath this shirt. But this shirt is very, very comfortable to wear. I would still recommend it to others. I really like the design of the shirt and that it is tailored for unisex fit. I usually order men’s shirt although I am a woman. I also like the fit of the shirt. I like to order a bigger size for myself and the size I got is perfect. 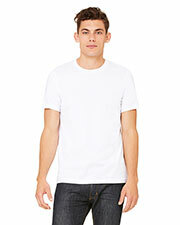 This is a shirt that is perfect for casual street wear. I like wearing it when I go out since it has a laidback look. 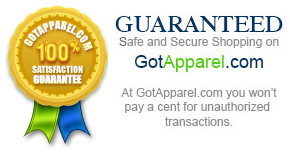 One important thing to consider about the shirt is its thin fabric material. It is a bit see through. I highly recommend anyone, especially the ladies, to wear an inner garment with this tee. I like that the shirt is very comfortable to wear and feels very soft. My only letdown was that it considerably shrunk. I ordered the shirt in my usual size (medium) and after washing it, it is already too snug for my taste. You better order a size or two sizes up if you want it to be a loose fit. 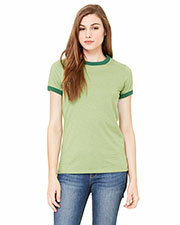 It is a very soft and comfortable tee. I love it. I also like the style, which is very flattering. I read other reviews saying the white shirt is see through, so I initially ordered one with a black body. But I really like this shirt so I bought another in white. Wearing an undergarment solves the problem about the “sheer” fabric. I like the softness of the fabric, but I think the sizing is not accurate. I ordered a size up but it just fit me right after the first washing. Either the shirt shrunk considerably or the sizing is really off. However, this is still a comfortable shirt. It was also on sale when I purchased it. I was organizing a themed birthday party for a girlfriend and ordered these shirts as part of our costume. I really like that the shirt is lightweight. The only problem I had was that the white one is a bit see through. I printed a design at the front, so the thinness of the fabric is not that obvious. I urgently needed to order shirts for a client. They wanted a shirt with the same style as this Bella + Canvas shirt. I am very glad that it was easy to order it online. They were even available at a reduced price, which was a huge plus. I love this shirt for my boyfriend since he looks really good in it. 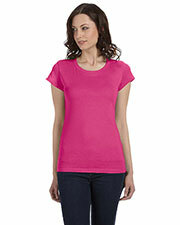 The style of the shirt is very flattering for individuals with toned bodies. It is great that it is unisex, so both men and women can wear it. I am thinking of buying one for myself. It is a good shirt to wear every day, either at home or if you want to be seen outside. And it works as a nice fashion wear. 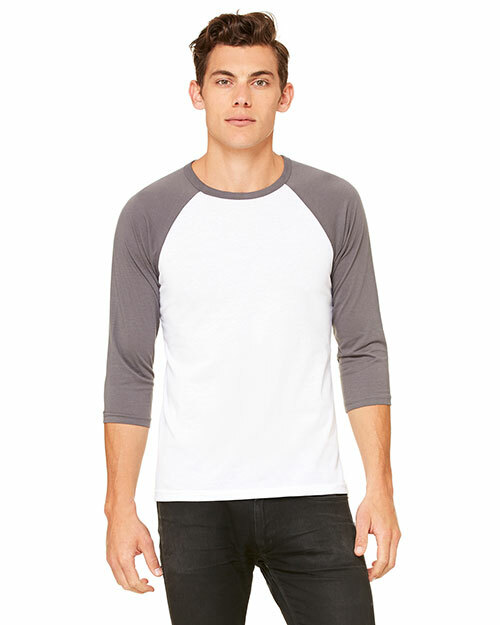 What I like most about the shirt are the ¾ raglan sleeves. They give off a retro vibe to the shirt. I bought a couple of these raglan shirts. They are very comfortable to wear, and I love using them around the house. They are stylish and great for everyday attire. The shirt is very soft and the ¾ sleeves are really nice. I like the combination of colors available for this one. This T-shirt has a very soft fabric. It is really nice to the touch and feels good when worn. I found it very comfortable. The only worry I have of it is how fast it will rip. Stretching of the fabric is also a concern over time. But right now, I am happy with my shirt.